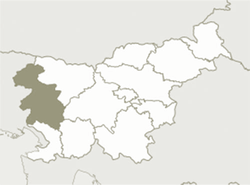 ​The Northen Primorska or Goriška region lies at the west part of the country along the Italian border. Julian Alps, Soča river and Vipava Valley are the most identifiable physical geographical features of the region. It covers the surface area of 2.300 km2. The trainings on horticulutre, entrepreneurship and self-help group started in March and have been going on since then. Below: Materials for Slovenian group.